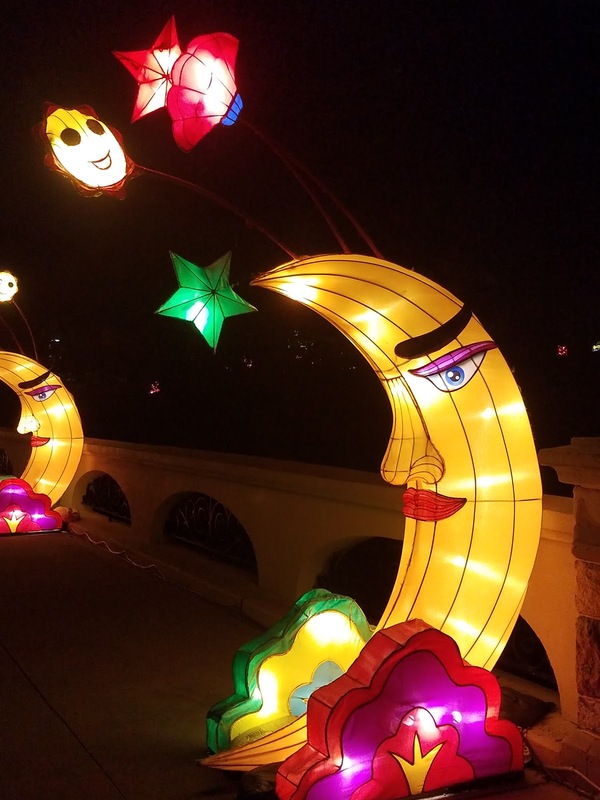 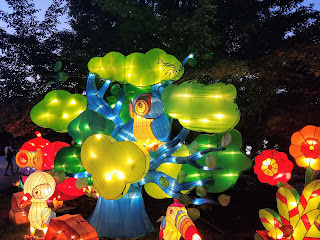 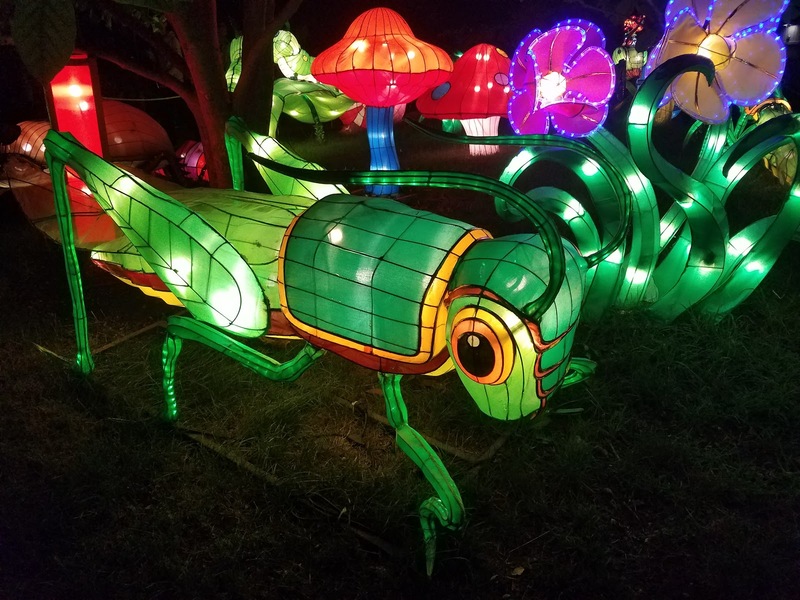 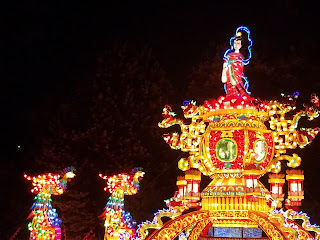 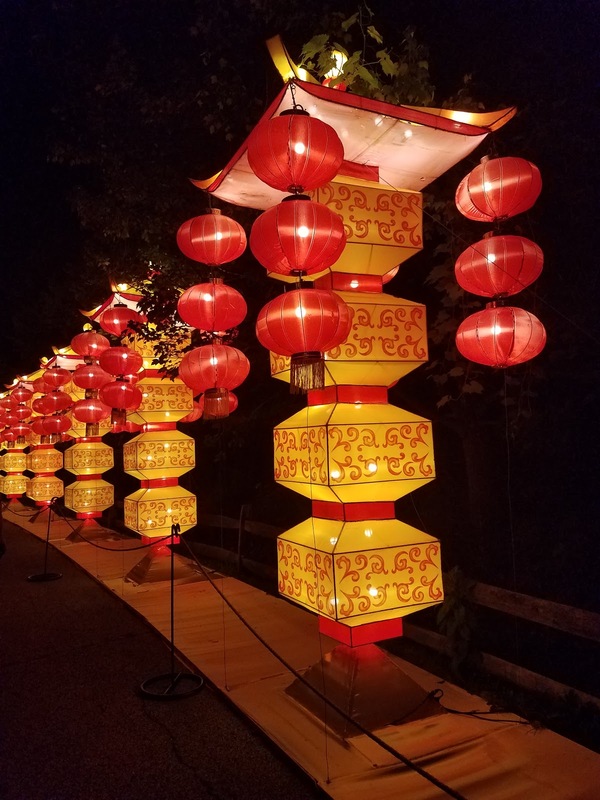 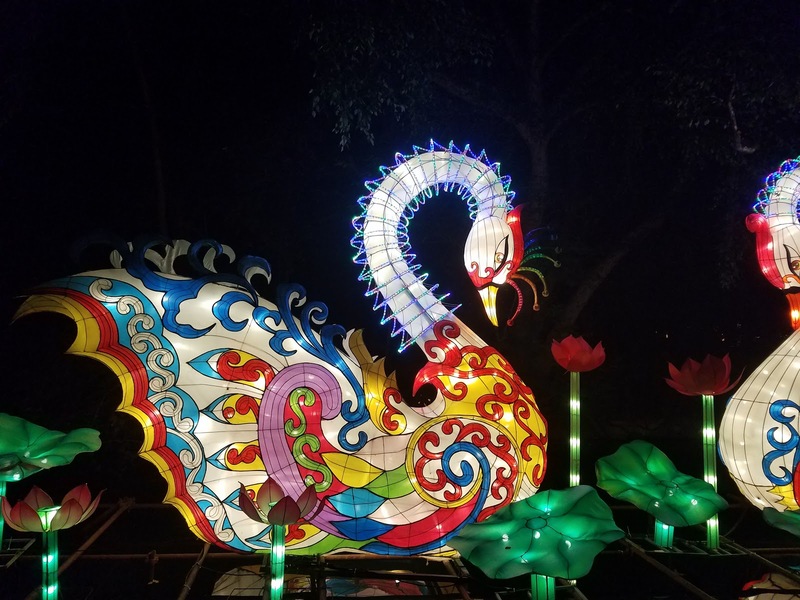 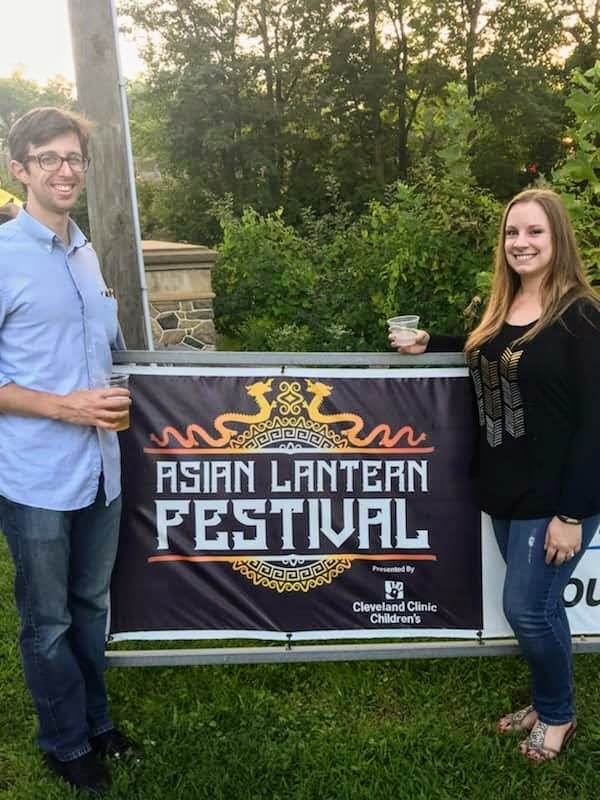 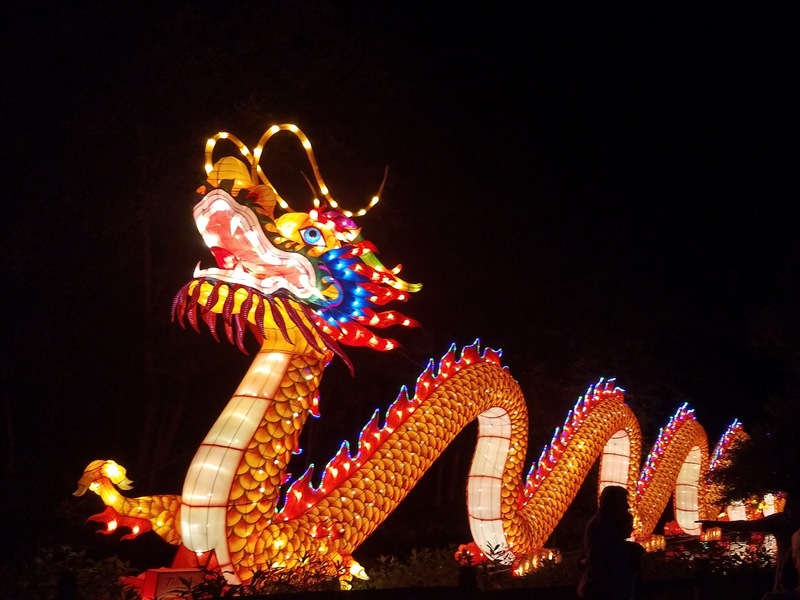 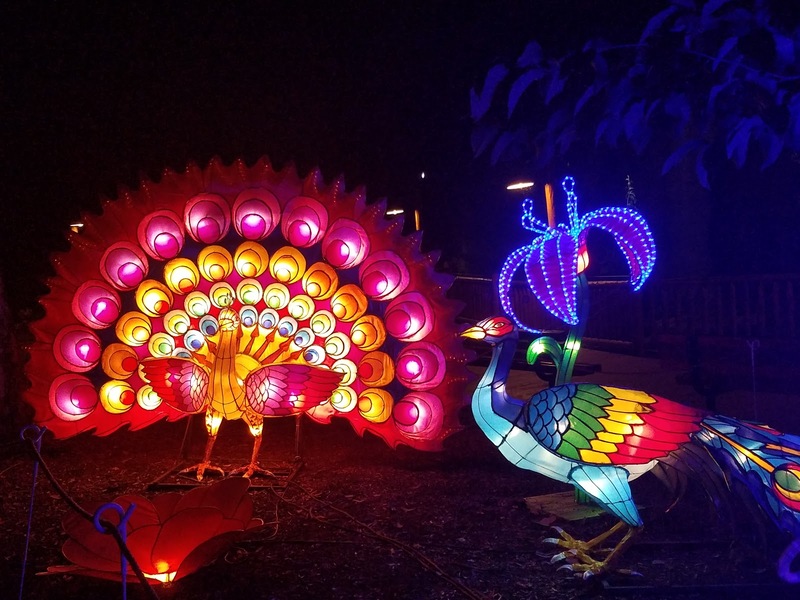 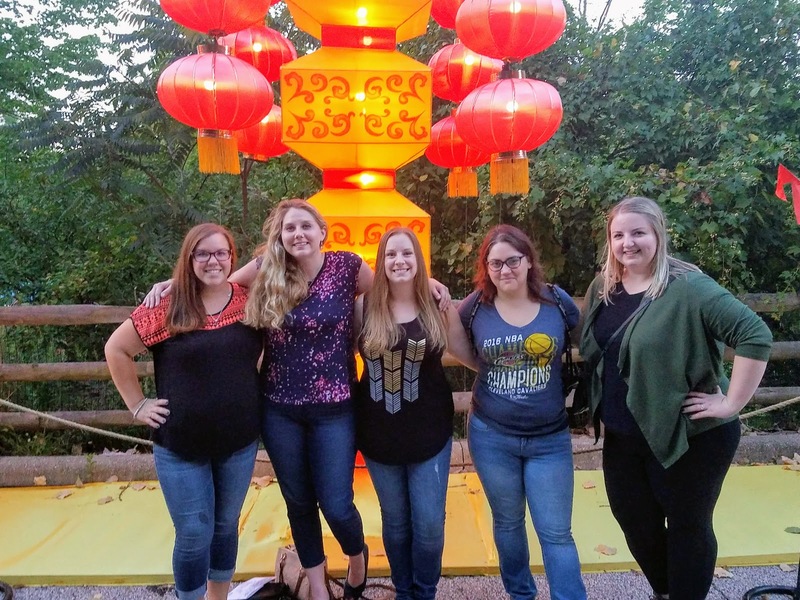 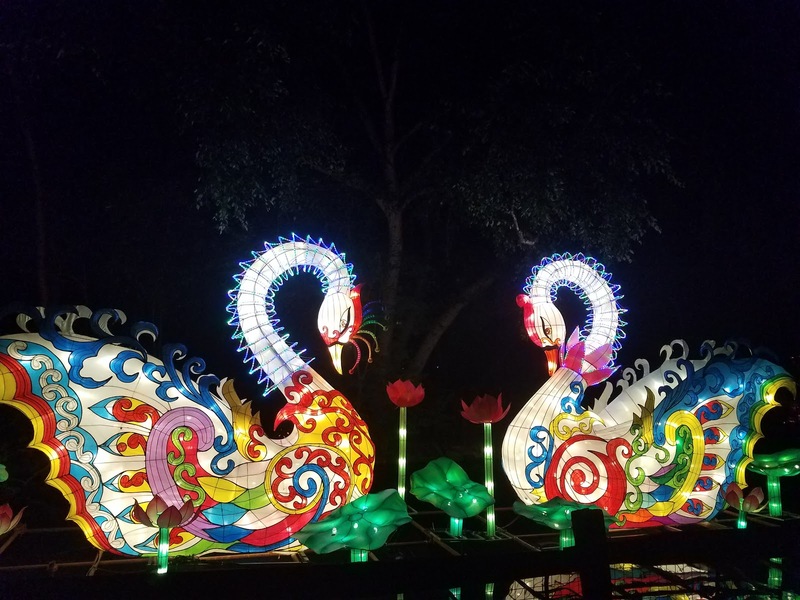 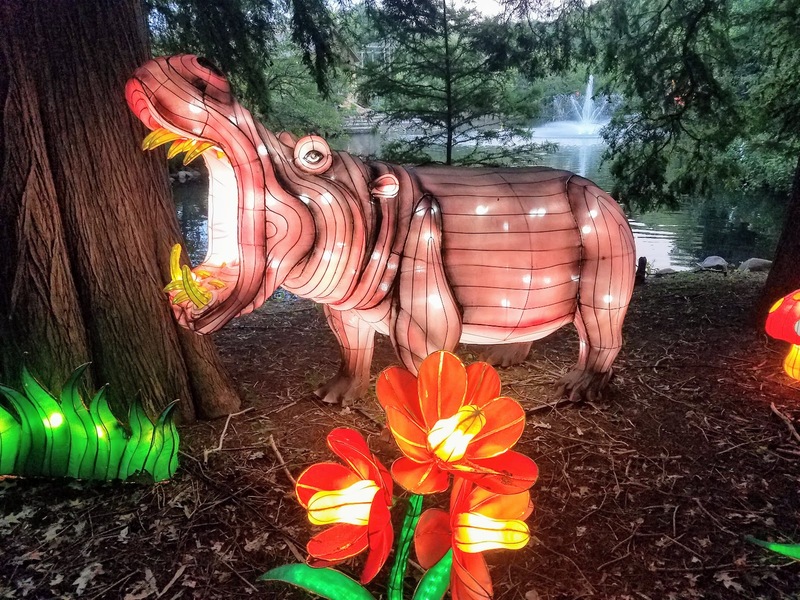 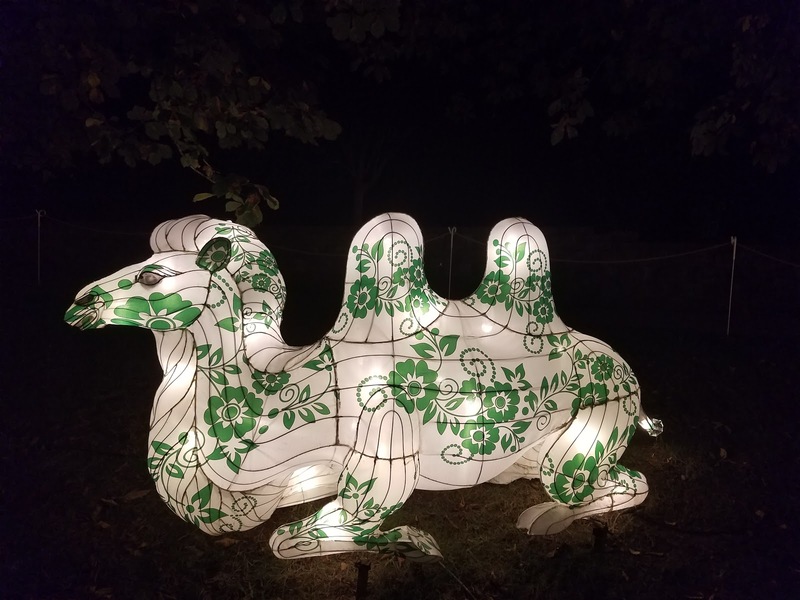 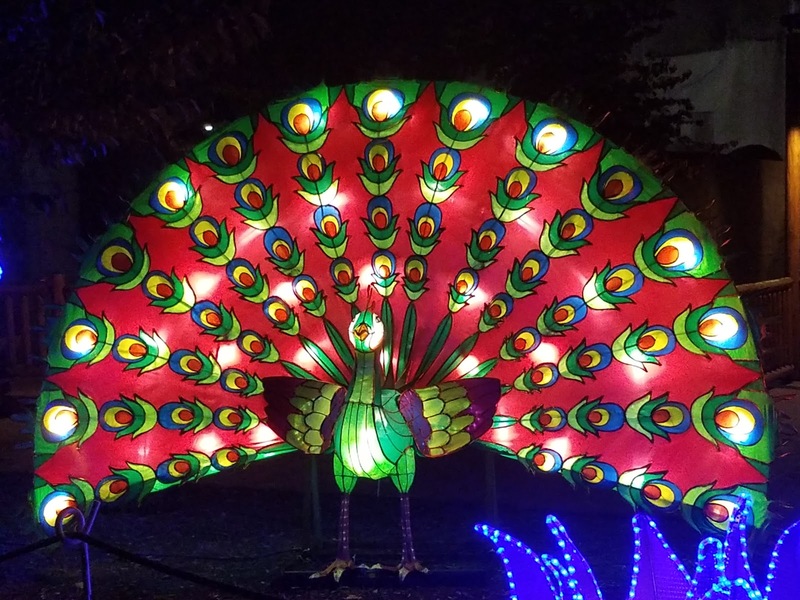 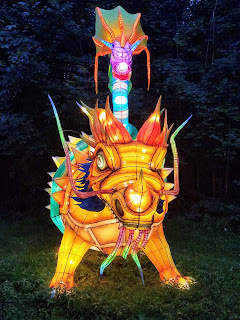 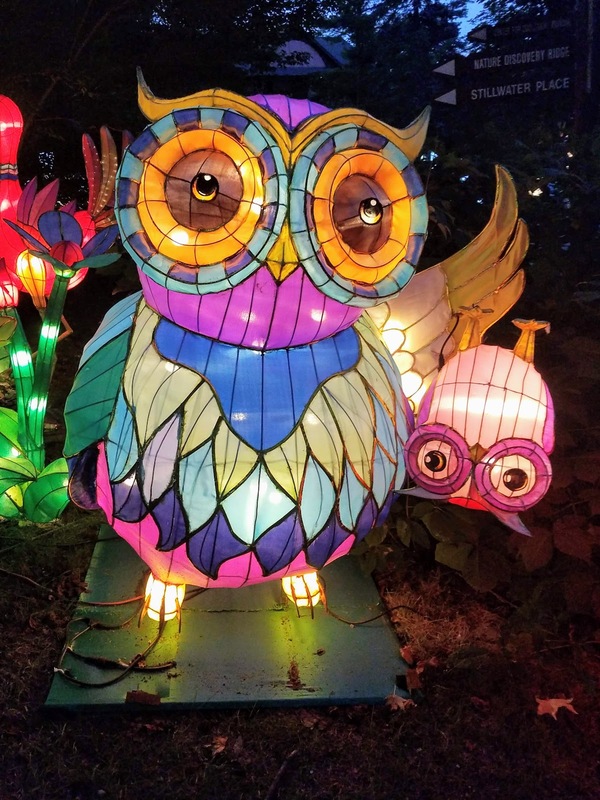 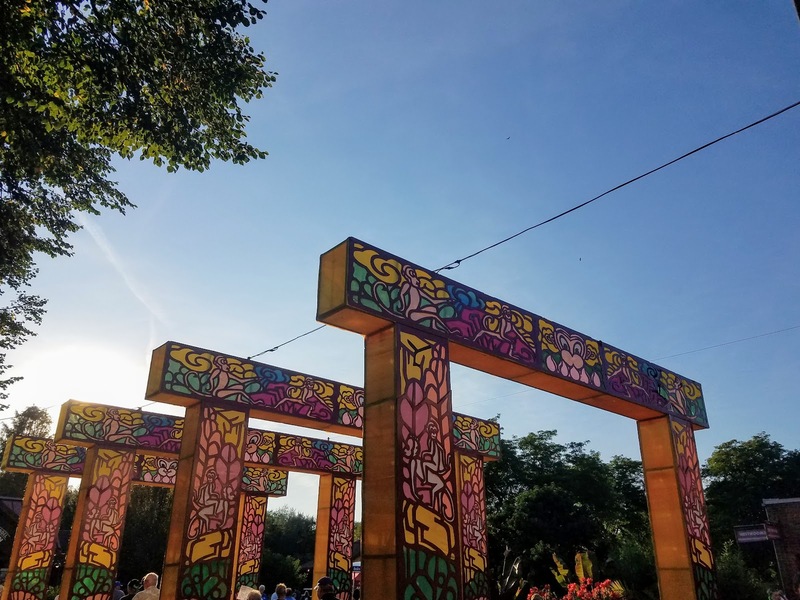 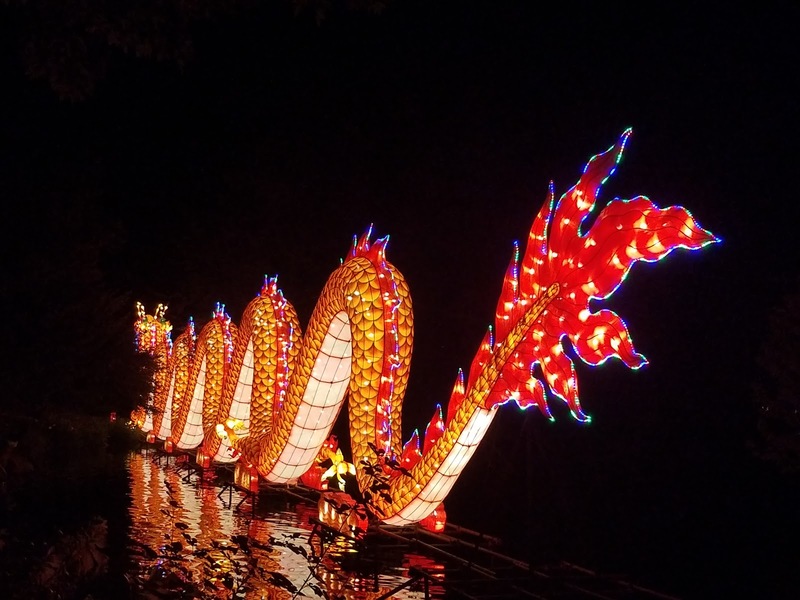 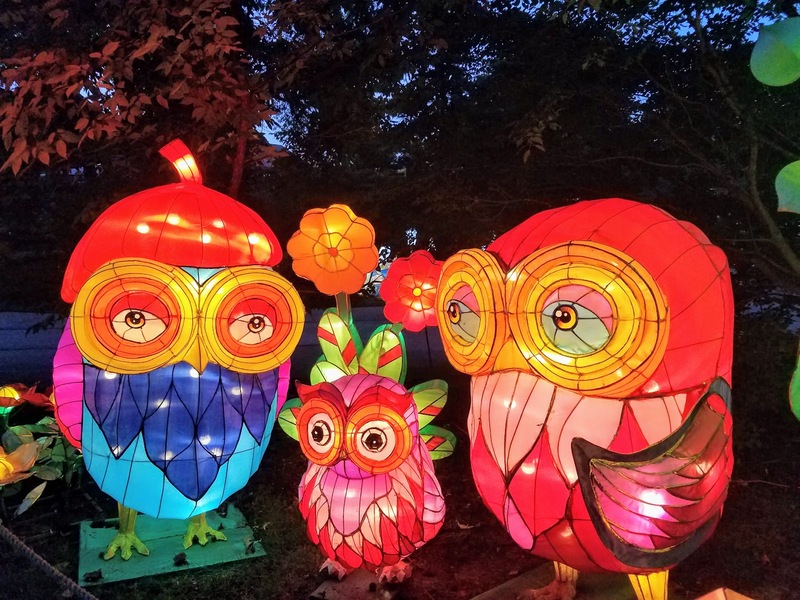 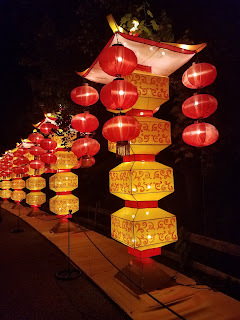 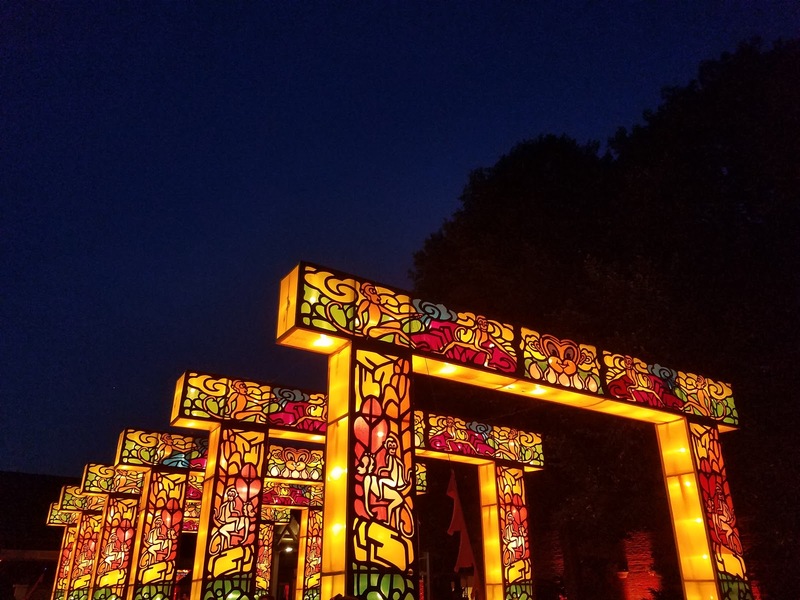 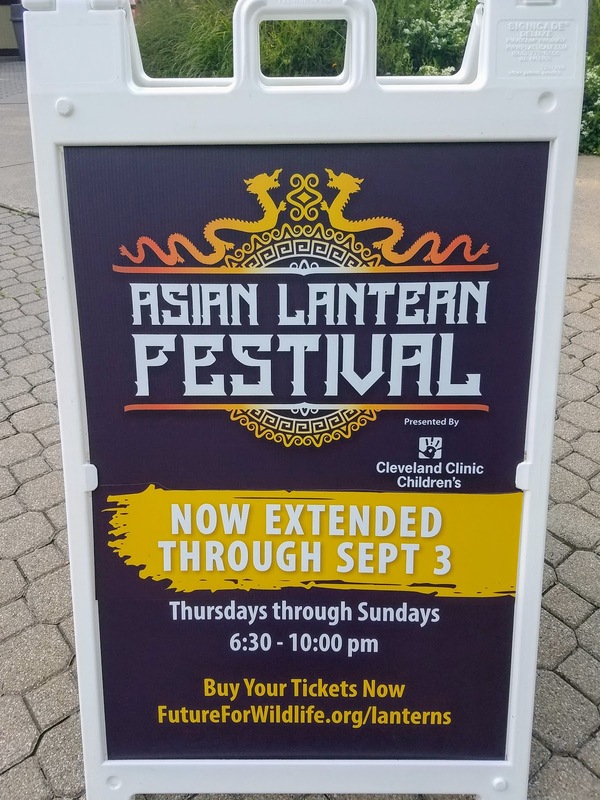 The Asian Lantern Festival was meant to be a one month engagement at the Cleveland Metroparks Zoo. 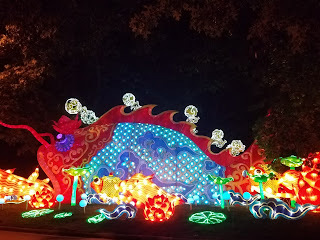 I tried to coordinate a group of friends to attend during that month, but the day we could go the weather was terrible. 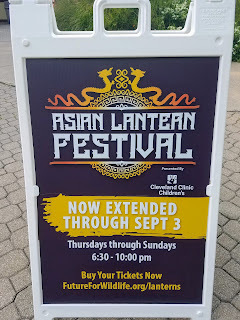 Dave then heard that the event was extended through Labor Day weekend which gave us another opportunity to check it out. 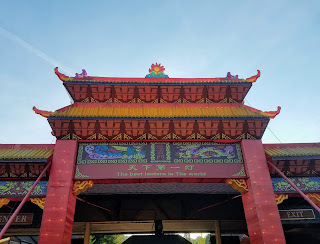 I was surprised how busy the event was when we arrived at 6:00 last night, but the weather was great and it's a long weekend. 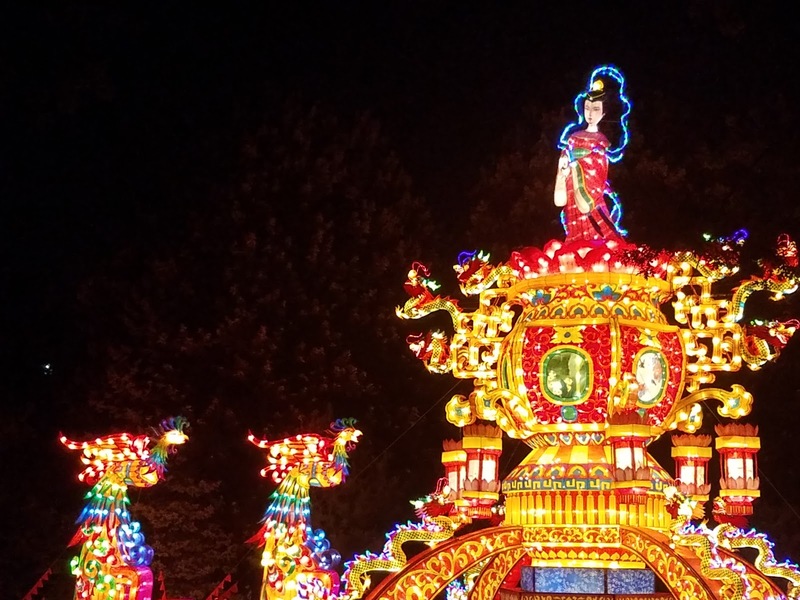 There were three pricing options -- tickets for members, non-members, and family four packs. 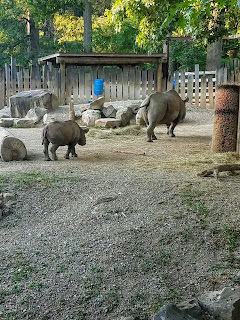 With the family four pack we were able to attend for $11.50 a person which is slightly below the price for regular adult admission to the zoo. 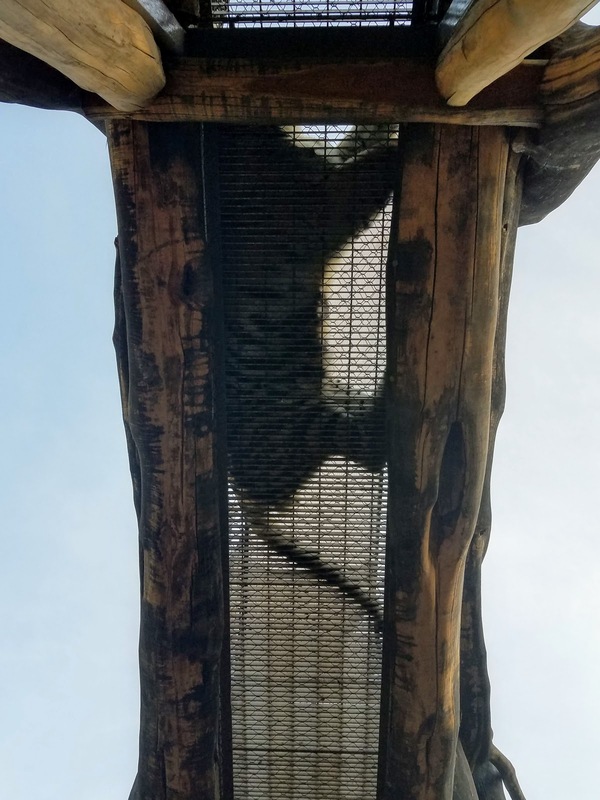 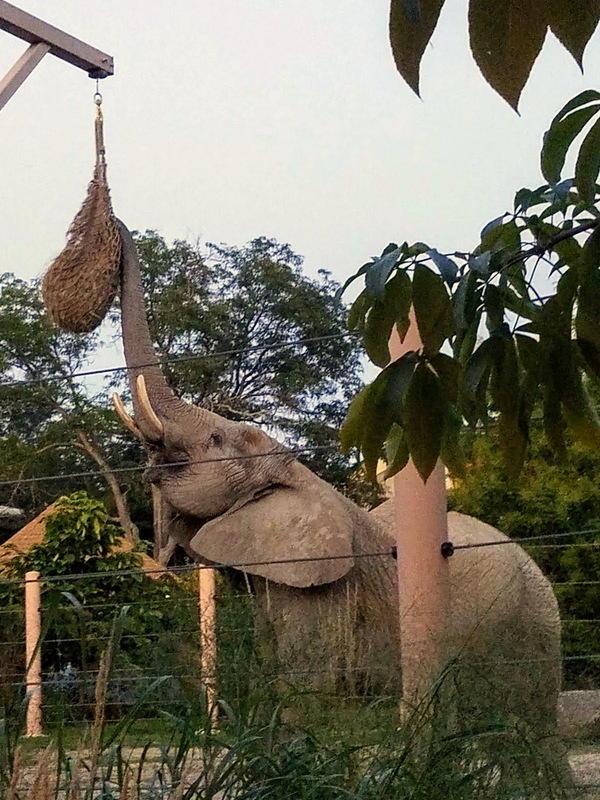 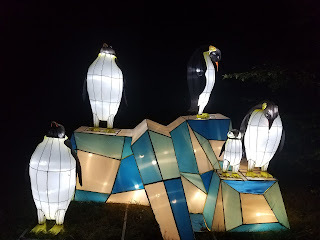 We loved this event and I hope that it's something the zoo thinks about sponsoring again. All of us drove straight from work so we were ready to eat when we first entered. 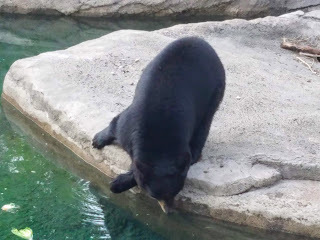 The zoo had several of their regular concessions open as well as outside vendors on site. 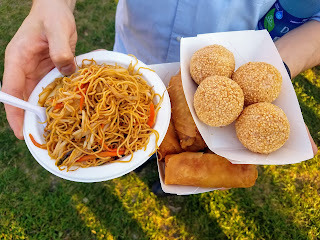 We ordered from Li Wah's tent, a Cleveland area Chinese restaurant, there were plenty of vegetarian options and we didn't want to choose so we ordered vegetarian egg rolls, ginger scallion noodles, and sesame balls. Everything was amazing, but the egg rolls were our favorite. 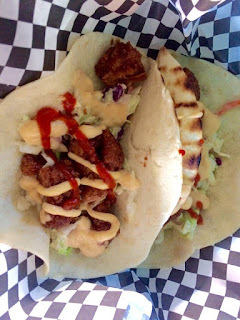 Our friends ordered chicken teriyaki tacos from the Fahrenheit food truck. 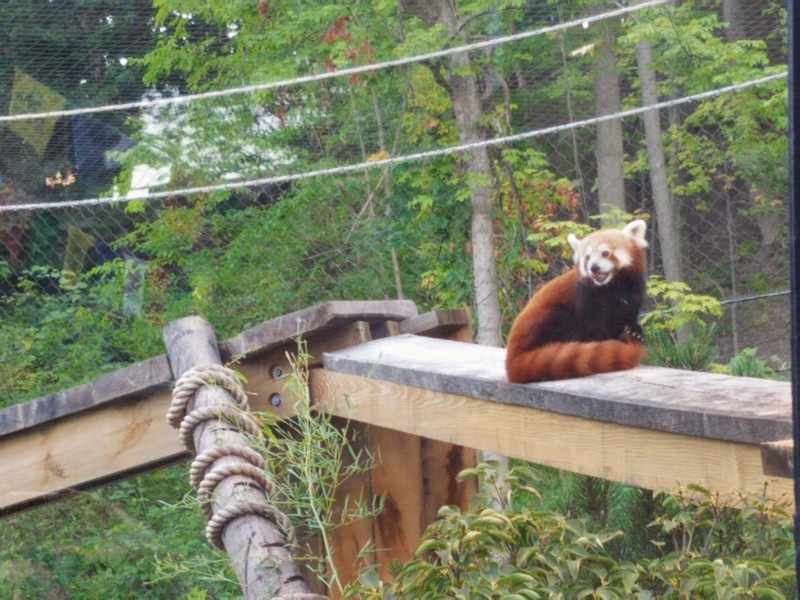 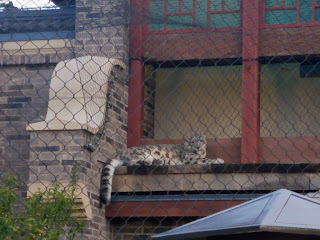 At the start of the event we were able to see many of the animals that are typically resting during the day. 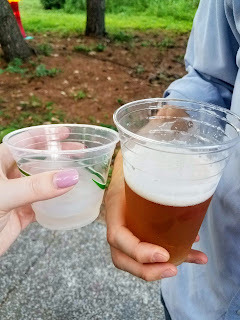 There was limited alcohol available at the event including Sapporo, Tiger Lager, and Asian Pear Sake. 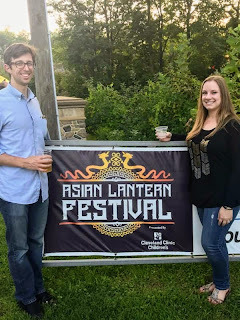 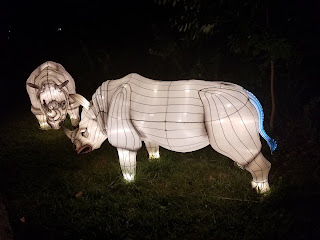 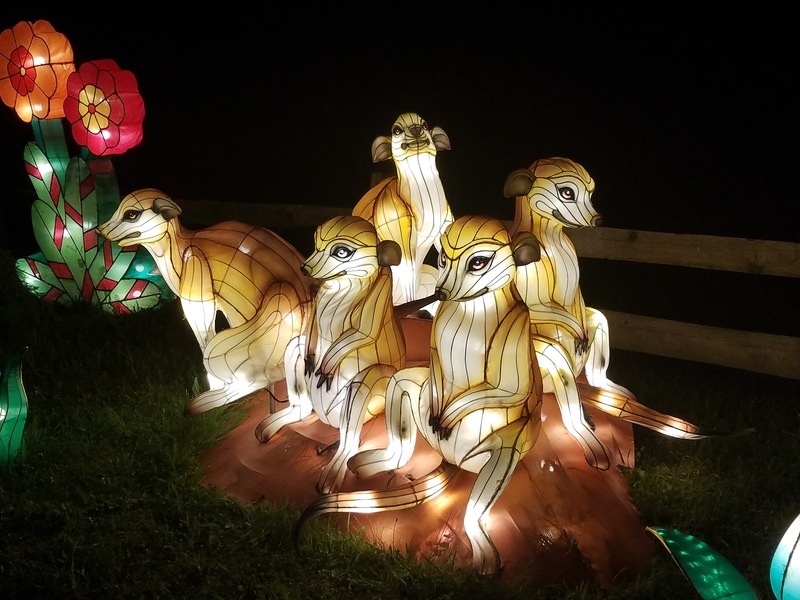 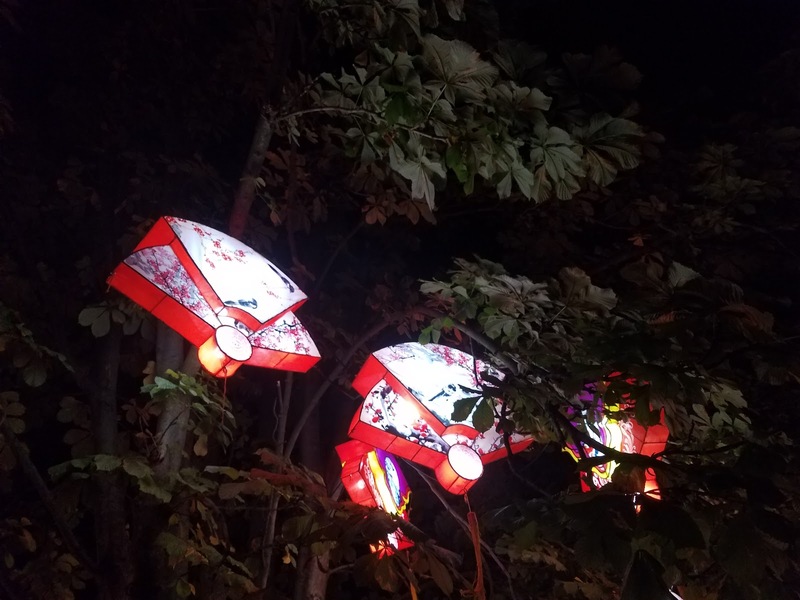 We did one lap around the festival before the sun went down, each lantern had a sign describing the significance in Chinese culture or just a little bit about each animal depicted. 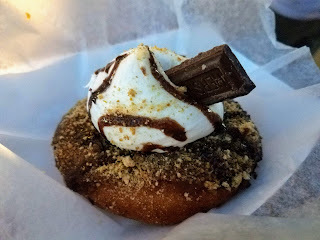 Back at the start we enjoyed donuts from Jack Frost Donuts and then decided to see the performances on the main stage. Acrobatic performers showed examples of plate spinning, Chinese yo-yo performances, foot juggling, and face changing. 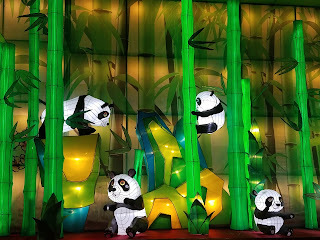 The performances were amazing and something we hadn't seen before. We did one last lap around the festival to see the lanterns fully lit -- everyone in our group was so impressed with the number of lanterns, the variety, and the quality of the event as a whole. 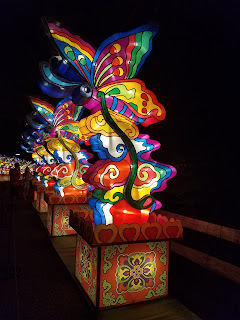 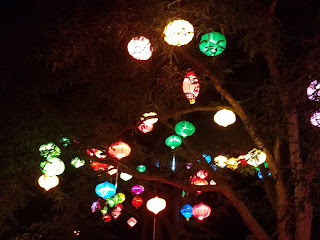 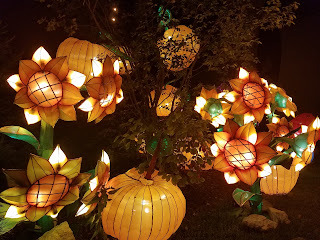 The lanterns were even more stunning once the sun set and it was fun to spend time at the zoo after hours.